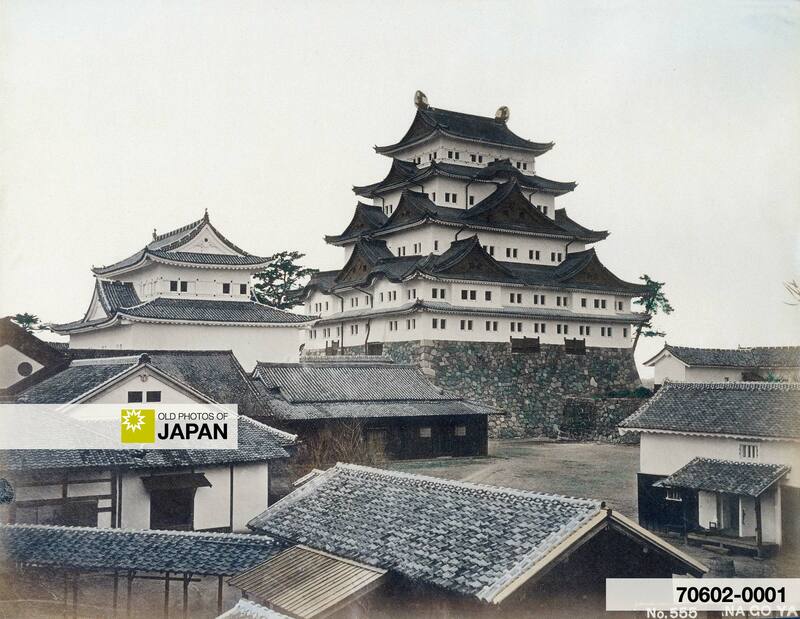 The original Nagoya castle was built around 1525 by Imagawa Ujichika (1473–1526), but later abandoned. Shogun Tokugawa Ieyasu (1543–1616) ordered the building of a new Nagoya Castle in 1610, it was completed in 1619. A massive castle at an important strategic location, it guarded the west of Japan. Nagoya was one of the most important castle towns in Japan and the most important stop on the Tokaido, the main road between Edo (Tokyo) and Kyoto. Until 1868 (Meiji 1), the castle was the home of the Owari clan of the Tokugawa family. After that, the Imperial Japanese Army used the castle until 1895 (Meiji 28). Imperial soldiers, no fans of the previous shogun, damaged many of the castle’s treasures. From 1895 it became a detached palace for Imperial Family, and it was handed over to the city of Nagoya in 1930 (Showa 5). Although it managed to survive for more than 300 years, it was burnt down and destroyed during a WWII US air raid on May 14, 1945 (Showa 20). Between 1957 (Showa 32) and 1959 (Showa 34), a ferroconcrete reproduction was built, complete with elevator and modern conveniences. The current reproduction shachihoko are made of copper and covered with 560 scales of 18 carat gold. You can also licence this image online: 70602-0001 @ MeijiShowa.com.